Retirement: Am I holding too much in stocks? I'm retired. Am I holding too much in stocks? I don't think there's any doubt that you should at the very least re-think your retirement investing strategy. Keeping 80% of your savings in stocks and 20% in bonds is pretty racy for most retirees. 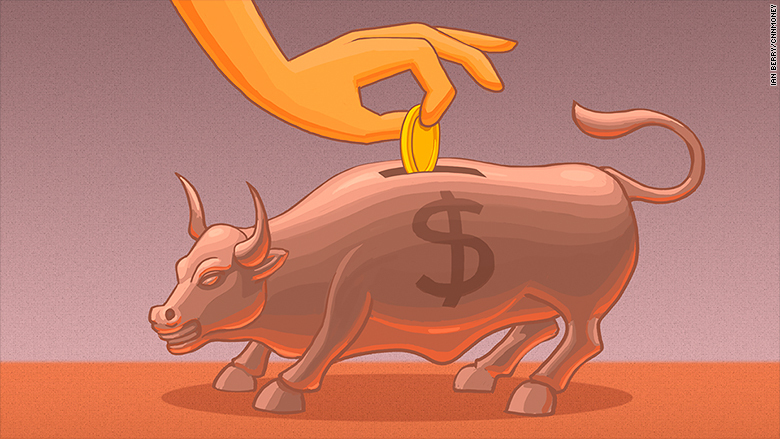 Such a stock-heavy portfolio leaves you more vulnerable to severe market setbacks and could jeopardize your retirement. I say this because the stock market overall lost 37% of its value in 2008, while the bond market gained a little over 5%. So a broadly diversified portfolio invested 80% in stocks and 20% in bonds would have lost just under 30%, which is bad enough, but not as bad as 40%. That suggests to me that your particular stock holdings were a lot more aggressive than the stock market as a whole. Perhaps you invested heavily in tech stocks, which lost more than 45% in 2008. Or maybe, in an attempt to generate dividend income, you loaded up with financials, which dropped roughly 44%. For that matter, your bond holdings could also have been more risky than the broad bond market, which could be the case if you invested heavily in high-yield, or junk, bonds, which lost more than 25%. The point is that the more skewed your holdings are toward particular sectors of the market, the less diversified your portfolio is and the more vulnerable your nest egg will be if the sectors you've made outsized bets on run into problems. So to reap the risk-reducing benefits of true diversification -- and also to have a better idea of how a given stocks-bonds mix might perform during future severe market downturns -- you generally want your stock and bond holdings to reflect the composition of the stock and bond markets overall. You can get an idea of how your portfolio's makeup compares with that of the market in various industries, sectors and market-cap size (large, midcap, small) by plugging your investments into Morningstar's Instant X-Ray tool. If you find that your individual holdings stray far from those of the market overall -- which appears to be the case for you -- you can re-jigger your investments to bring them closer in line with the market. A simpler alternative is to invest in index funds, such as total stock market index and total bond market index funds or ETFs, as doing so will automatically ensure that your portfolio's stock and bond holdings replicate the diversification of the market overall. But the bigger question for you as well as other retirees living off their nest egg is just how large a stock stake you really need to ensure a high probability that your savings will last as long as you do. And the answer is you don't have to maintain a particularly high-octane portfolio loaded up with stocks to avoid depleting your assets too soon. In fact, as long as you hold your withdrawals from savings to a reasonable pace -- say, an initial 3% to 4% of your nest egg with subsequent adjustments for inflation, assuming you want your money to last 30 or more years -- investing anywhere between 40% and 60% of your nest egg in stocks should provide a relatively high level of assurance that you won't outlive your dough. Of course, a higher stock stake might allow you to draw more from your nest egg (or leave a larger pile of assets for your heirs). But "might" is the operative word, as the more stock-heavy your portfolio is, the more damage it will sustain during market setbacks and the harder it could be for your nest egg to recover from the double-whammy of investment losses and withdrawals. You can estimate how long your savings might last given various stock-bond mixes, withdrawal rates and varying lengths of time in retirement by going to this retirement income calculator. Once you've decided how to divvy up your portfolio, make sure that your stock and bond holdings largely reflect the make-up of the overall stock and bond markets and aren't too heavily concentrated in a handful of sectors. If you want even more assurance that you won't run out of capital, you might even consider using a portion of your savings to buy guaranteed lifetime income. One way or another, though, you need to create an investing strategy that's aggressive enough for your savings to sustain you, but not so aggressive that a major market meltdown will derail your entire plan. After all, you want to spend your retirement enjoying the fruits of a career's worth of planning and saving, not constantly worrying whether your money will last.